The Decksaver Dave Smith Instruments OB-6 Cover is a high-quality cover designed to accommodate the Dave Smith Instruments OB-6 synthesizer, protecting your equipment while on the move. 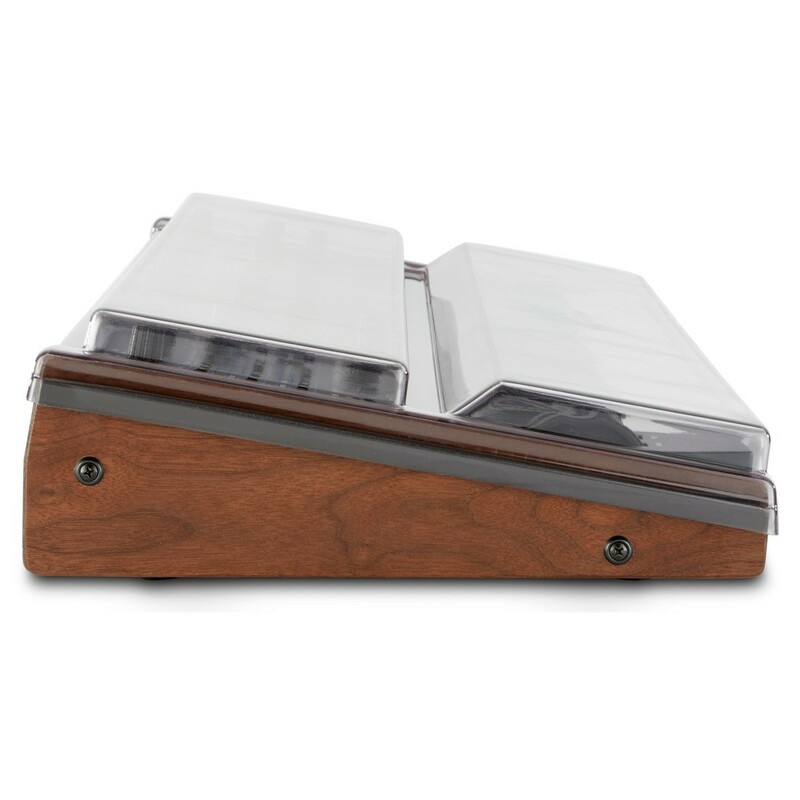 The custom moulded protective cover is constructed from a highly-durable polycarbonate shell for optimal strength. The cover helps to protect the Dave Smith Instruments OB-6 from dust, liquid, accidental impact damage and more while on the move. The precision trimmed design of the Decksaver cover allows you to accommodate cables and more so your equipment is always ready to go. With its smoked, clear finish, the cover allows you to see your synthesizer at all times. 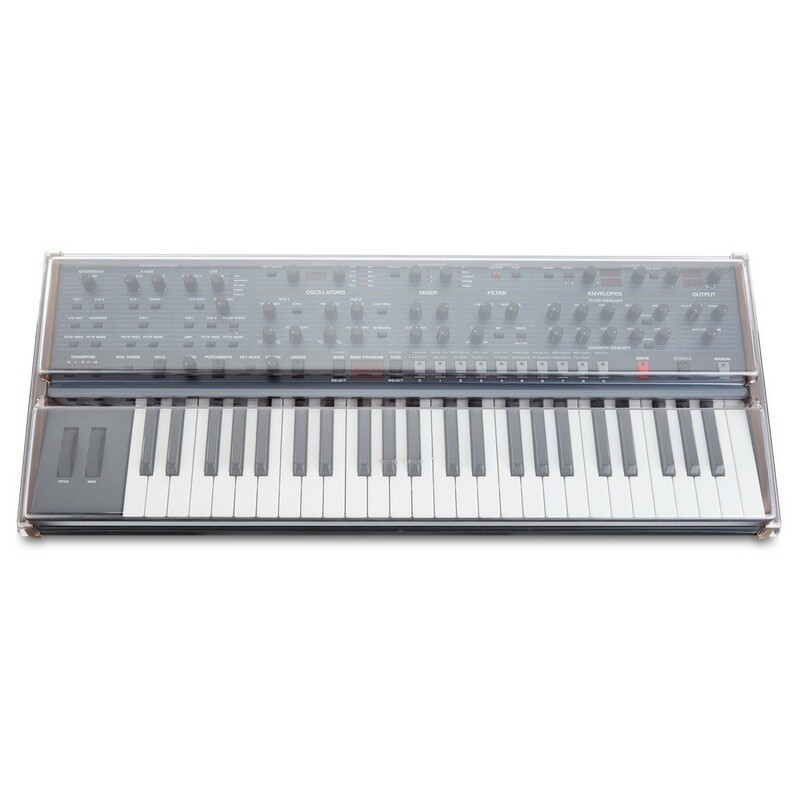 The Decksaver Dave Smith Instruments OB-6 features an ultra-durable polycarbonate shell, designed to protect from dust, liquid, particulates and accidental impact damage. It will also protect against superficial damage such as scratches or bumps while on the move. 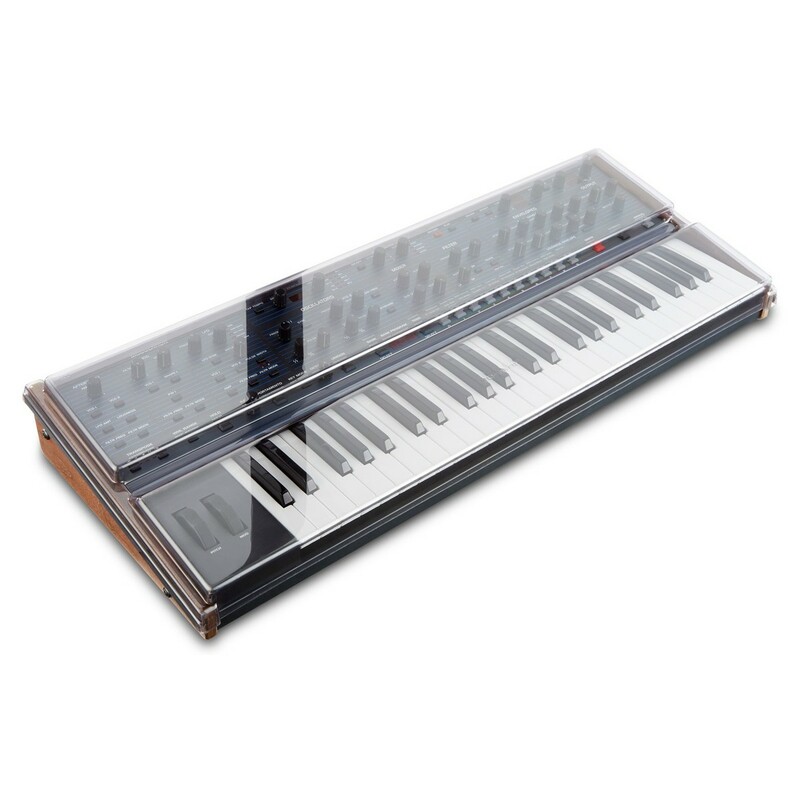 The high quality smoke/clear sheen lets you see your keyboard through the cover, allowing you to see your synthesizer at all times. The smooth and sheen like finish will slide straight into a backpack, ideal for the travelling musician. The cover is custom moulded to shield all your keys, buttons and encoders from damage, while still allowing you to accommodate cables.